Extremely versatile & popular mid-sized Adventure/ Dual Purpose bike. Comfy solo or two up. Rate includes 2 x 36L Givi pannier bags. a great competitor for BMW’s F650GS/ F700GS, and for shorter riders who need a low seat height, the Triumph is superior- the Tiger manages a seat lower than the F700GS Low, but retains a full load capacity, and full length rear suspension. 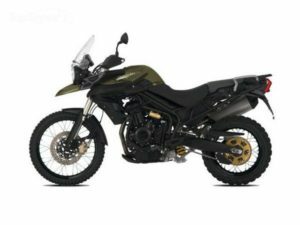 With it’s 19″ front wheel, and a a wide range of suspension settings and seat options, the Tiger 800 Road can accommodate riders from 5’2″ to over 6′. 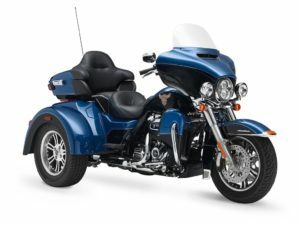 Rate includes OEM Triumph panniers and topbox. Triumph’s worthy competitor to BMW’s popular F800GS and it can stand toe-to-toe with the BMW. 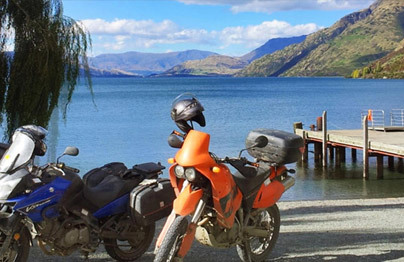 Both are excellent adventure bikes. The 800XC is fitted with Triumph’s fun, powerful, flexible 799cc triple engine. It’s an amazing and versatile dual purpose adventure bike. With its high seat height, and 21″ front wheel, this one’s for taller riders 5’10” /1.8m or more, and/or those who enjoy gravel or unsealed roads. A great alternative to the BMW F800GS. 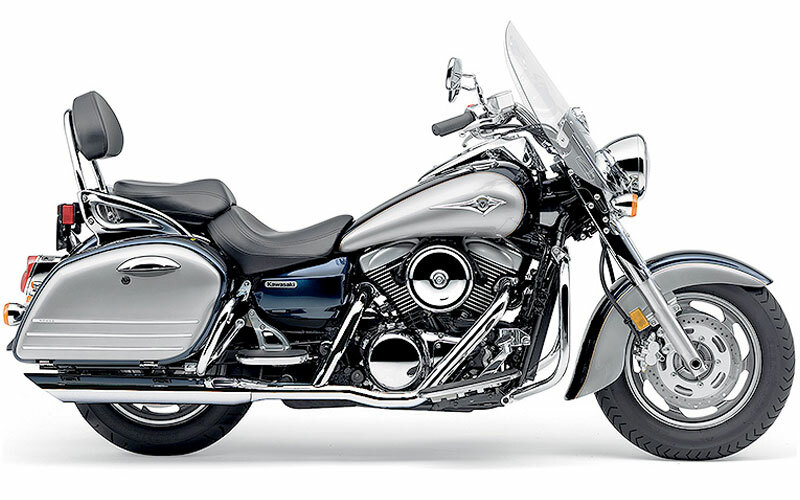 Rate includes OEM Triumph panniers and topbox. BMW’s fabulous new twin cylinder 800cc middleweight Adventure Tourer, EFI, ABS. 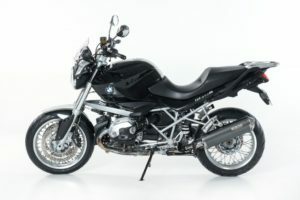 We have the 700GS and 800GS available in low, and regular seat height models. The Low is recommended for short legged riders 5’2″ to 5’7″ (1.5 – 1.7m) due to very low seat height. 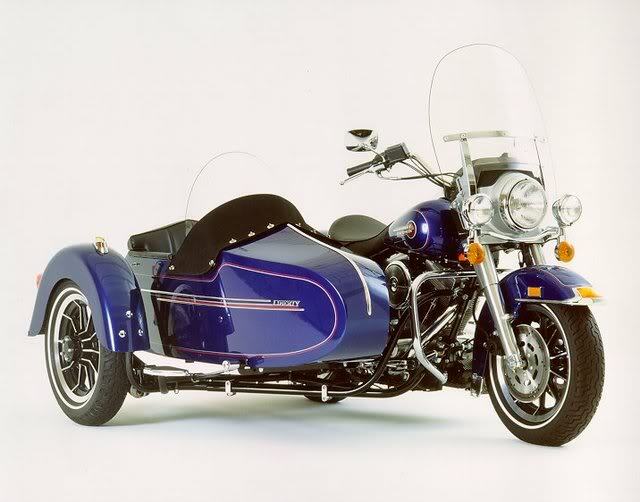 If you’re 5’5″ or more, you’ll get your heels down on this bike. The regular/high seat option is also available, with a seat height of 32.5-33.5″ , suited to riders around 5’10 1.78, or taller. 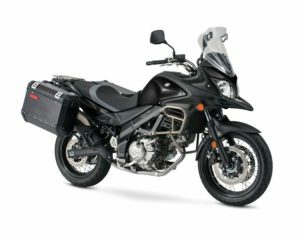 Rate includes 2 x 36L OEM or Givi pannier bags. Top box and GPS also available. 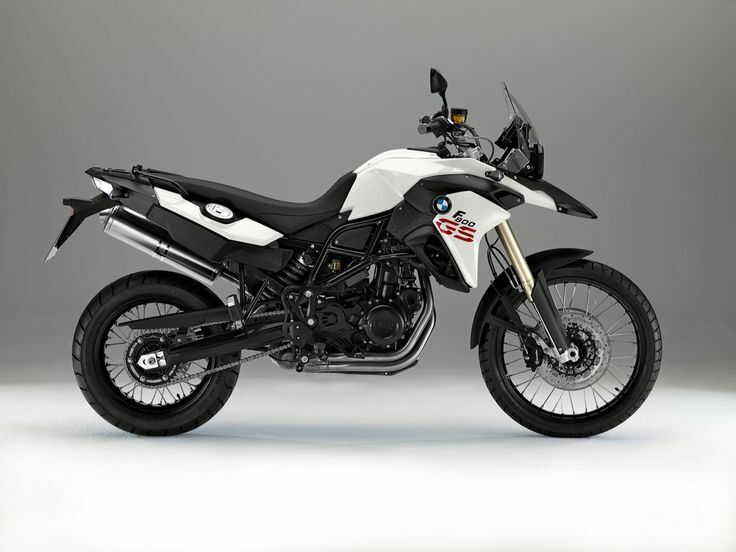 BMW’s fabulous new 800cc parallel twin Adventure Tourer, EFI, recommended for taller riders 5’8/1.74m + due to seat height, though a low seat / low suspension option (820mm seat height) is available. Rate includes 2 x 36L OEM or Givi pannier bags & crash bars. GPS and topbox are also available. 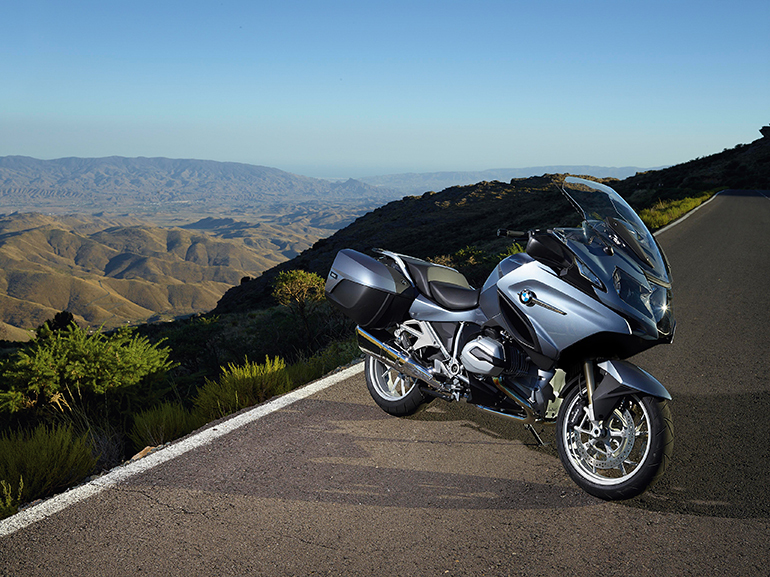 BMW’s latest and greatest Adventure Tourer. A low seat option is available on this model, bringing the seat height down to 740mm. 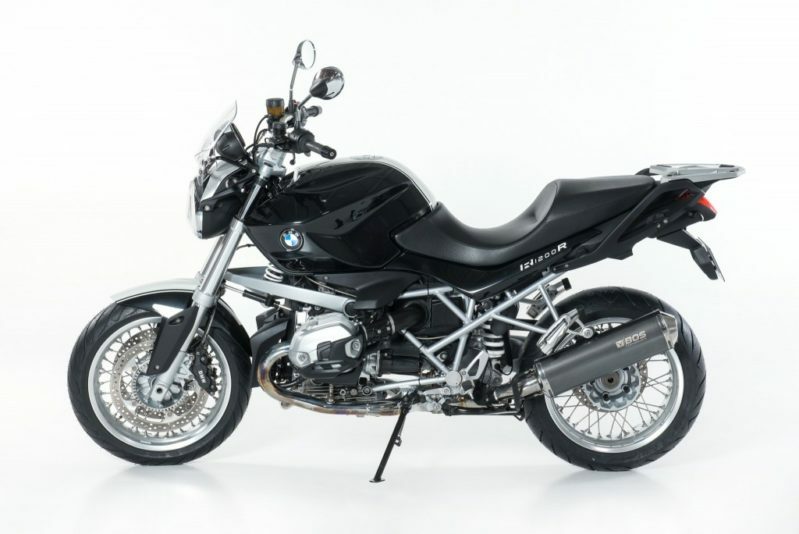 Rate includes BMW OEM panniers and and topbox. Large Cruiser, Laid back road/cruiser. Low seat height. 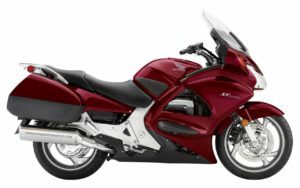 Rate includes hard side panniers, and Givi topbox. What can we say? 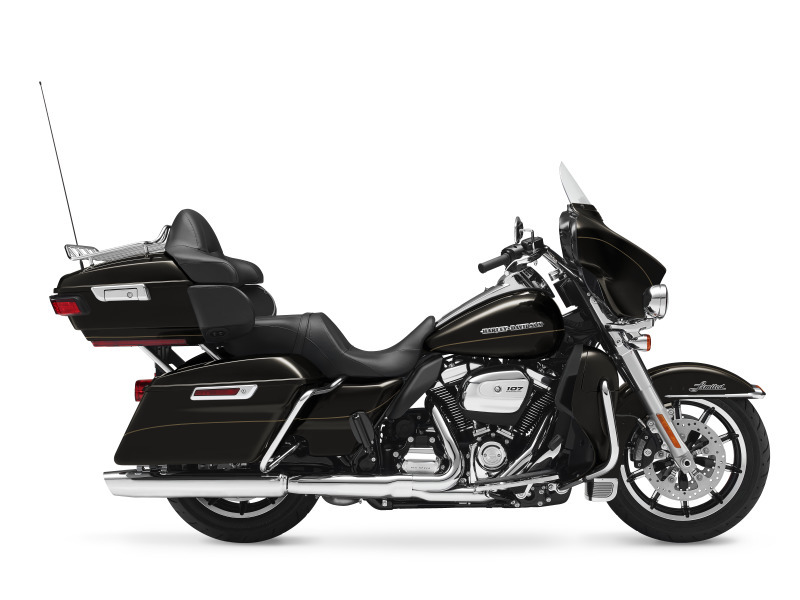 If you’re a Harley enthusiast, this is the only bike to tour on. 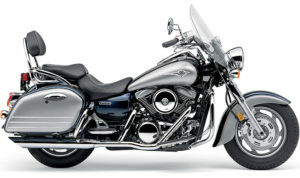 HD’s stunning new 107 inch “Milwaukee Eight” eight valve water cooled engine. Tour Pack, SatNav, Boombox Audio, Daymaker lights, Splitscreen airvent system, heated grips, cruise control. Fitted with the Quick Detatchable Tour Pak kit if you prefer to ride without the Tour Pak. 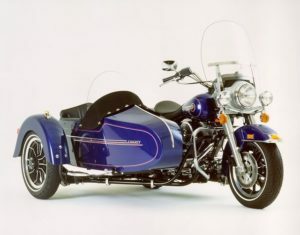 For the sidecar enthusiast, or for those riders who prefer 3 wheels to two, our powerful and torquey Kawasaki VN1500 powered sidecar is just the ticket. Be quick to book – this unit is a barrel load of fun, and is very popular! Rate includes 2 x 36L Givi pannier bags. Honda’s totally redesigned ST has won accolades from the motorcycling press. Once again Honda have raised the bar for luxury sport touring. ABS, electrically adjusted w/shield. Rate includes panniers. Luxury Sport Tourer.Honda’s totally redesigned ST has won accolades from the motorcycling press. Once again Honda have raised the bar for luxury sport touring. ABS, electrically adjusted w/shield. Rate includes panniers. The ultimate in two up touring comfort. ABS both ends, cruise control, heated grips, seats and heated backrest, stereo. Rate includes factory panniers, topbox & backrest. 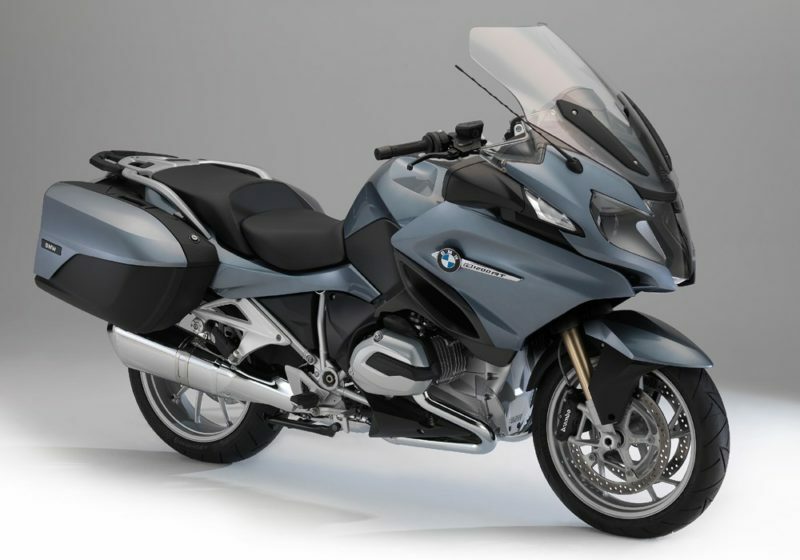 BMW’s latest and greatest class leading tourer – the water-cooled RT. 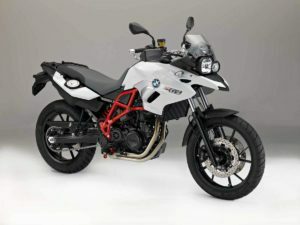 Electronic Suspension (full) ABS, Traction control, Integrated Audio system, BMW integrated GPS, Cruise Control, heated seats, central pannier locking, assisted gear shift. 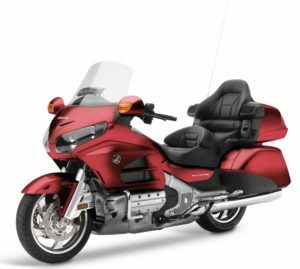 A very accomplished and popular tourer – the standard by which all others are judged. Very comfortable solo or twoup. Rate includes factory panniers and topbox. A low seat option is available also. 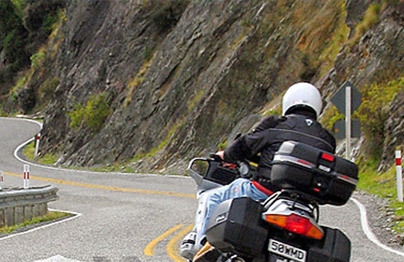 The best New Zealand Guided Motorcycle Tours. 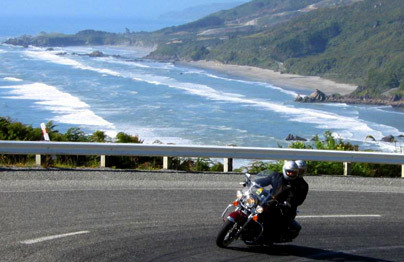 Pre-booked pre-planned and personalised New Zealand motorcycle tour itineraries. Economy to luxury. Triumph, BMW, Harley Davidson, Honda, Suzuki, Yamaha, and Kawasaki.